Riyadh-Yemen’s former president Ali Abdullah Saleh has defended Iran’s intervention in Iraq and Syria, saying it aims at combating terrorism. 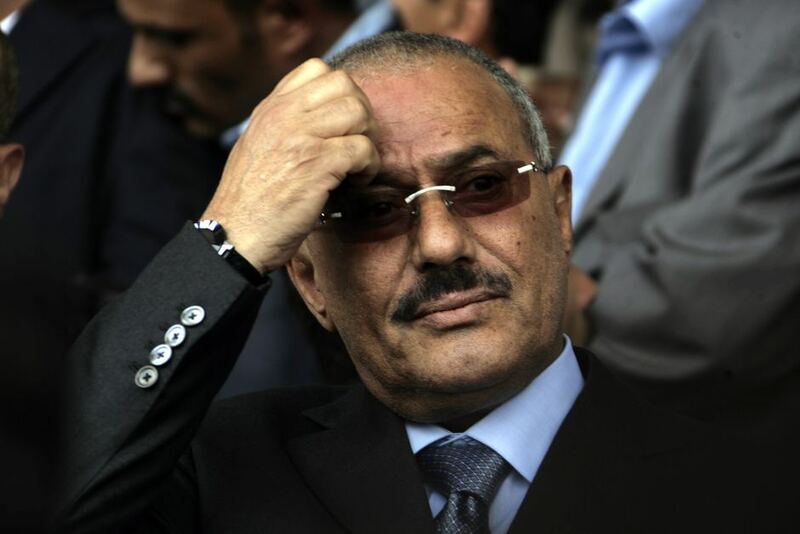 In his statements to pro-General People’s Congress journalists, Saleh, who heads the party, expressed his support to Iran’s meddling in Arab states. “So, why put them on the terrorist list?” he asked. Meanwhile, a report has been published by the “War on the Rocks” website on the rising death of members from Iran’s Revolutionary Guards and “Hezbollah” in Yemen. The website, which specializes in analyzing foreign and security policies, began its report by refering to a failed incursion into the Saudi border by an officer from the Revolutionary Guards in Yemen in March 2016. The report said that he took advantage of a massive dust storm that blocked the sky in southwest Saudi Arabia, reduced ground visibility to less than a meter and obscured satellite coverage, leading the government to close schools. “Against the Madar’s cloaking headwinds, an Iranian Revolutionary Guards Corps (IRGC) officer, whose nom de guerre is ‘Abu Ali,’ led a 52-man Houthi armored assault convoy armed with Katyusha missile launchers out of the northern Yemeni governorate of Saada, and into Saudi Arabia’s Asir border province. Their aim was to conduct a series of early morning raids,” the report said. According to the report, Riyadh reacted quickly with Saudi aircraft killing the IRGC officer along with 40 Houthis and injuring 12 others. Their vehicles and missile launchers were also destroyed. The writer of the report said that the slain IRGC commander was known for leading prior Houthi raids against Saudi Arabia and providing training and operational supervision for the “Hussein Brigades,” an elite Houthi ground unit in northern and central Yemen. The report also said that 44 IRGC and “Hezbollah” operatives have been killed or captured in Yemen’s civil war, based upon an analysis of Yemeni and Gulf Arab news reports on killed, captured, and wounded advisers in Yemen over the last two years.